Today VMware announced exciting news about VMUG Advantage new feature. All new subscriptions and renewals will be offered with very interesting package which is called EVAL Experience. In my opinion this is deal breaker – many of people who have home labs quite often are using evaluation licenses and this is the problem for them. 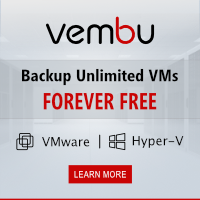 With new offering from VMUG Advantage finally it is worth to buy it. Personally if I will be not awarded vExpert 2015 I will buy it to have access to latest VMware software which I use almost every day in my home lab. VMware’s EVALExperience gives you exclusive access to all of the tools you need to stay in the game and take your career to the next level, all in one place! VMware and VMUG have partnered with Kivuto Solutions to provide VMUG Advantage Subscribers a customized web portal that provides VMUG Advantage Subscribers with self-service capability to download software and license keys. Licenses to available VMware products are regularly updated and posted to the self-service web portal. The licenses available to VMUG Advantage Subscribers are 365-day evaluation licenses that require a one-time, annual download. Annual product downloads ensure that Subscribers receive the most up-to-date versions of products. Besides EVALExperience VMUG Advantage offers many other interesting discounts. The VMware Learning Zone is a new subscription-based service that gives you a full year of unlimited, 24/7 access to official VMware video-based training. 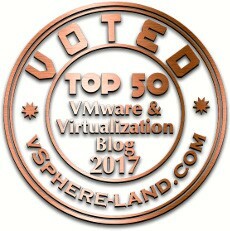 Top VMware experts and instructors discuss solutions, provide tips and give advice on a variety of advanced topics. VMware Lab Connect™ is a self-paced, technical training lab designed to enhance your learning experience. This VMware cloud-based on-demand, multi-platform lab environment extends the classroom experience so you can practice the skills learned from the instructor-led training class attended, dive deeper into features of interest, and get extra hands-on practice before applying your newly learned skills in an operational environment. Gain the knowledge and skills required to utilize your VMware tools to their fullest functionality. By leveraging VMware Education delivered by expert instructors, you will gain deeper product insight and real-world best practices on how to track performance and event data, create complex alerts, run diagnostics, and issue control actions from a single remote console. VMware Education Services provides several options that allow you to cost-effectively support your most critical business needs. VMware On-Demand is a robust, self-paced learning solution delivering modular training combined with hands-on practice labs, giving you a powerful alternative to traditional classroom training. Content can be accessed for up to 45 days after you sign up for the course. VMware offers world-class certifications to validate and distinguish the technical competencies and expertise needed to install, manage, deploy and support VMware software. Recognized by the industry, VMware certifications are available for three different skill levels on the current version of our software. Whether you are advancing your current position, looking for new opportunities, or aiming to be competitive in today’s IT job market, you will want to develop and demonstrate your technical expertise in virtual infrastructure. Over 500 unique sessions and labs, a packed agenda of meetings and events, and hundreds of exhibits will showcase the latest advances in virtualization and cloud infrastructure technology. Thousands of IT innovators, practitioners, executives and technology providers will come away with the insight and tools they need to drive unprecedented business results. 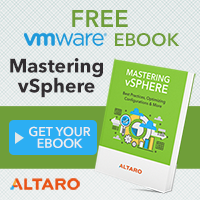 This discount can be combined with one other VMworld registration discount. VMware Fusion® 7 is the easiest, fastest and most reliable way to run Windows applications on a Mac without rebooting. VMware Fusion® 7 Pro takes virtualization on the Mac to the next level with powerful features designed for advanced users and technical professionals. VMware Workstation 11 is the easiest, fastest and most reliable way to evaluate new operating systems, software applications and patches, and reference architectures in an isolated and safe virtualized environment. No other desktop virtualization software offers the performance, reliability, and cutting edge features of Workstation.